I'm really excited about this pack and naturally I'll document my findings here. I intend to post this wrap up in 5 parts so you can follow along only a few days behind me. 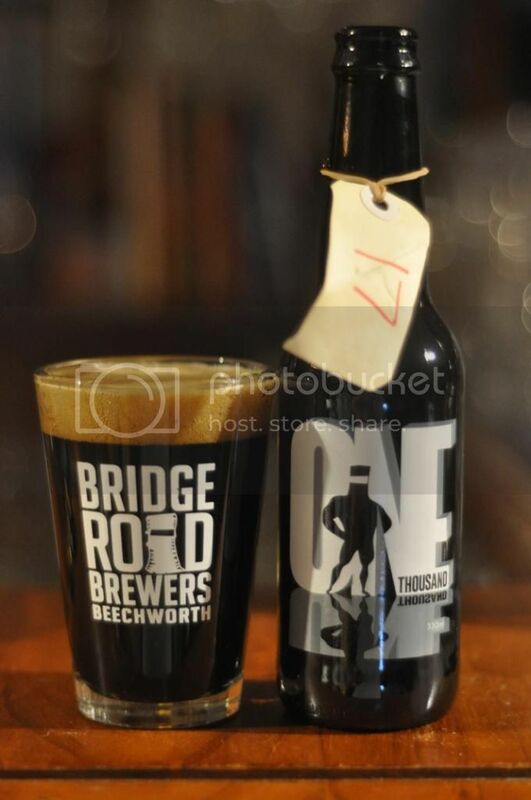 I'm hoping it'll be a great journey and I'm looking forward to trying some Bridge Road beers that I haven't had a chance to sample yet. Hopefully you enjoyed the first, second and third installments it's now time for the fourth! 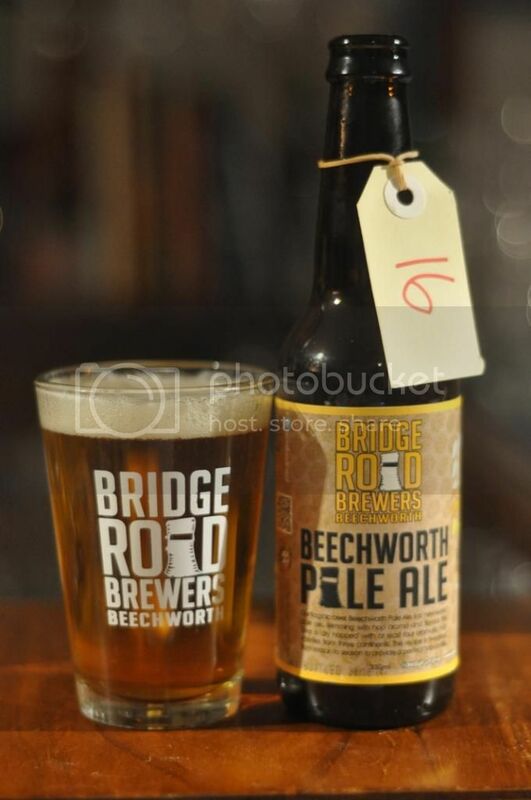 Day 16 - Beechworth Pale Ale - Almost every large craft brewery in the world has a flagship Pale Ale; Beechworth is that beer for Bridge Road. Every year they play with the hops in this beer to make sure it's fresh and on trend with the beer communities ever evolving palate. The beer pours how you'd expect an APA to; a slightly hazy golden colour with a brilliant white head. Beechworth Pale Ale smells amazing, with citrus and tropical fruits (particularly what I think is Guava, but could be wrong). The beer is particularly nice and is well balanced. The malt is more pronounced than I remember but plenty of citrus and passionfruit flavours from the hops combine with it beautifully. Would make a great session beer or even gateway beer to the proper world of craft beer. Day 17 - Brew 1000 - Wednesday night rolled around and so did a beer that I was hoping would be in this pack - Brew 1000, strangely enough named for being Bridge Road's thousandth brew. It's a Russian Imperial Stout and clocks in at 11.2%! The appearance is just about perfect with a oily black body and creamy head! On to the nose and it's surprisingly sweet initially with plenty of mocha and caramel. There is some chocolate and roastiness as well. The flavour is quite different with roast and chocolate leading the charge, with mocha taking the back seat. There's a spiciness to this beer as well, which is quite interesting. I can't wait to age one of these for a year or two! 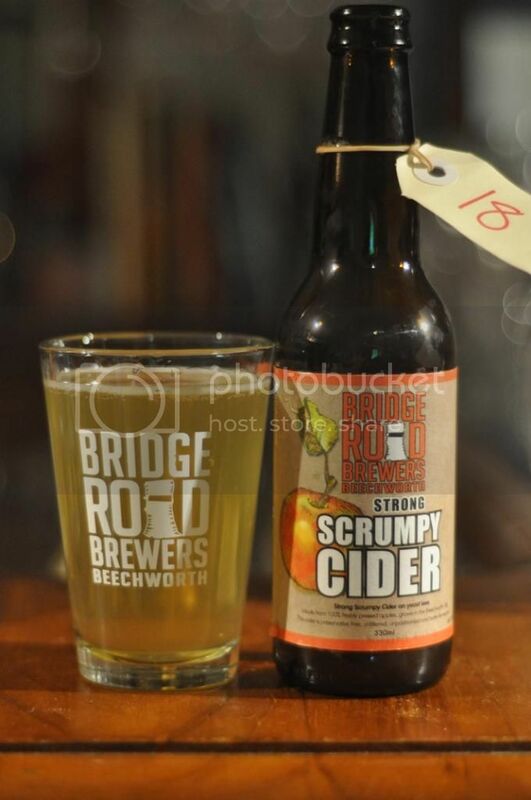 Day 18 - Strong Scrumpy Cider - I'm not going to lie, when I saw that this was a Cider I was pretty disappointed. That said; my time on England's south coast did give me something like an appreciation of Scrumpy (or maybe that was getting drunk...) Anyway the pour is a hazy yellow colour with minimal white head. The nose was relatively weak with - funnily enough - only sweetish apple on the nose. Maybe this is just my uneducated cider nose talking though... Likewise the taste is mostly apples although there is a bit of funk and it's quite tart after the initial sweetness originally detected on the nose. Cider's certainly aren't my area of expertise - so don't discount this one based on my review! 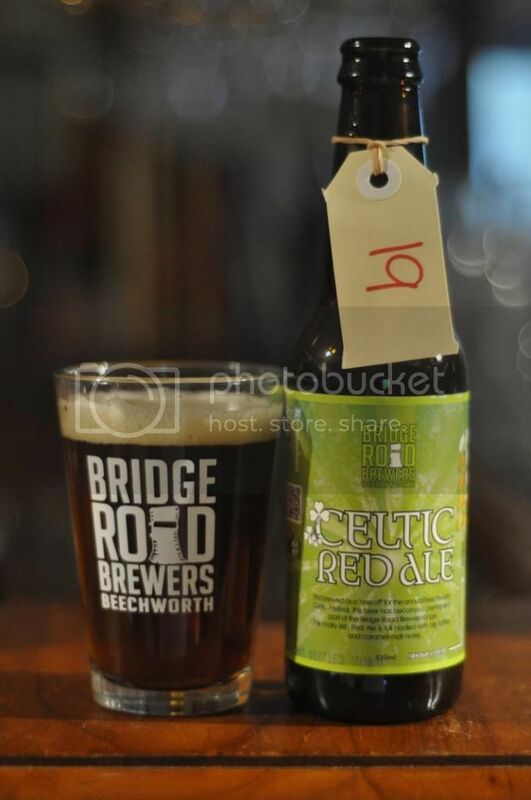 Day 19 - Celtic Red Ale - This is a beer I remember having had before, despite what Untappd says! It was in an Amber/Red Ale tasting, when I still thought I might like Amber Ales. The jury is still out on that, but what I can say is that this beer pours a very deep red colour with a creamy head that fades very very quickly! The malt dominance is what I don't really like about amber ales. That curse strikes again here with Celtic Red Ale; there's plenty of biscuity malt and a little butterscotch on the nose but that's about it. It tastes a little less bland with hints of coffee breaking up the biscuity malt, but still it's quite bland. Amber Ale's just aren't my thing and this one is no exception. Day 20 - Bling Bling - I've reverted back to my IPA glass for this beer. It's a beer I've had before and really enjoyed before. Check out the first of these #beerdvent reviews for it's little brother. 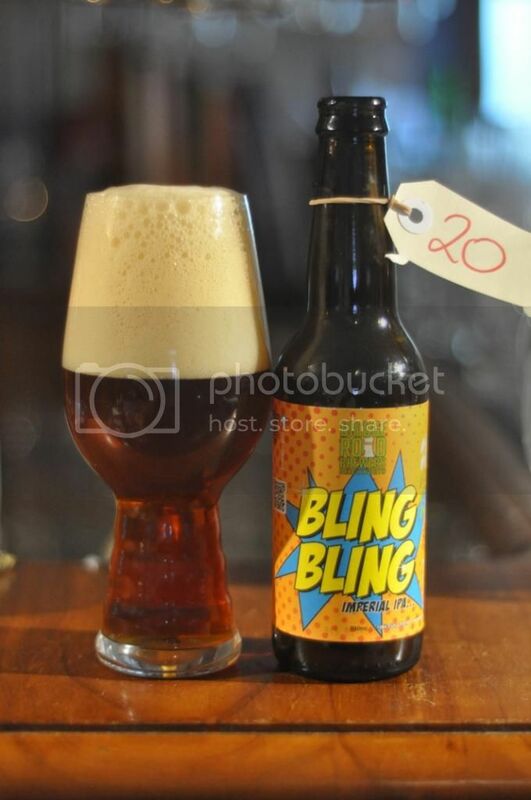 Bling IPA. The pour is quite dark with plenty of red and a huge cream coloured head. There's plenty of pine and fruit on the nose, the most dominant of which I believe is passionfruit. There's a reasonably amount of caramel malt on the nose but it struggles to provide balance - it's very hoppy! The taste is similar with particularly strong fruit flavours coming from the bitter hops, there is more caramel malts than I had thought from the nose and it is well balanced. Only one of these reviews to go now. I'm really going to miss this! I'm racking my brains to think which beers could still be left, maybe the Victorian High Country Trail collaboration, Rule 47? I think most of the core range is done - maybe a Chevalier? Whatever it is, I'm sure it'll be good.